Review by AllTheBestFights.com: 2016-07-30, good fight between Nikita Krylov and Ed Herman: it gets three stars. Nikita Krylov entered this fight with a pro mma record of 20-4-0 (100% finishing rate) and he is ranked as the No.23 light heavyweight in the world. He suffered his last loss when he faced Ovince St Preux in 2014 (=St Preux vs Krylov), but then he has won four consecutive fights beating Francimar Barroso in 2016 (=Barroso vs Krylov). His opponent, the black belt in Brazilian jiu-jitsu Ed Herman, has a record of 23-11-0 (83% finishing rate) and he entered as the No.18 in the same weight class. He lost to Derek Brunson last year but he came back to win in 2016 against Tim Boetsch. 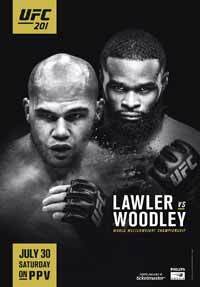 Krylov vs Herman is on the undercard of Robbie Lawler vs Tyron Woodley – UFC 201. Watch the video and rate this fight! Review by AllTheBestFights.com: 2016-05-08, pretty good fight between Francimar Barroso and Nikita Krylov: it gets three stars. The black belt in Bjj Francimar Barroso entered this fight with a professional record of 18-4-0 (78% finishing rate) and he is ranked as the No.26 light heavyweight in the world. He lost to Hans Stringer in 2014 but he came back to win in 2015 beating Ryan Jimmo (=Jimmo vs Barroso) and Elvis Mutapcic (in 2016). His opponent, Nikita Krylov, has a mma record of 19-4-0 (100% finishing rate) and he entered as the No.36 in the same weight class. He also lost in 2014, against Ovince St Preux (=St Preux vs Krylov), but then he has won three consecutive fights beating Marcos Rogerio de Lima in his last one. 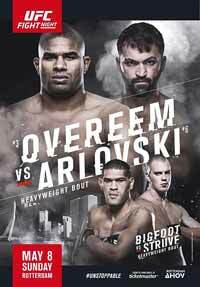 Barroso vs Krylov is on the undercard of Alistair Overeem vs Andrei Arlovski – UFC Fight Night 87. Watch the video and rate this fight! Review by AllTheBestFights.com: 2015-01-24, pretty good finish between Nikita Krylov and Stanislav Nedkov: it gets three stars. The 22-year-old (11 years younger than Nedkov) black belt in karate Nikita Krylov entered this fight with a mma record of 17-4-0 (100% finishing rate) and he is ranked as the No.81 light heavyweight in the world while his opponent, the black belt in Brazilian jiu-jitsu Stanislav Nedkov, has an official record of 12-1-0 (83% finishing rate) but he is not ranked as he hasn’t fought since February 16, 2013 when he lost to Tom Watson (=Nedkov vs Watson). Krylov vs Nedkov is on the undercard of Alexander Gustafsson vs Anthony Johnson – UFC on Fox 14. Watch the video and rate this fight! Review: 2013-08-31, pretty good fight between Soa Palelei and Nikita Krylov: it gets three stars. Soa Palelei ranked as the No.53 heavyweight in the world, entered the fight with a record of 18-3-0 (100% finishing rate) while Nikita Krylov had a record of 15-2-0 (100% finishing rate). Palelei vs Krylov is on the undercard of Benson Henderson vs Anthony Pettis 2 – UFC 164. Watch the video!